I know we are a little late on this, but first I would just like to say, Happy New Year! The last 8 weeks have been incredibly busy, and I am honored let everyone know that AudioActiv survived a second holiday season. 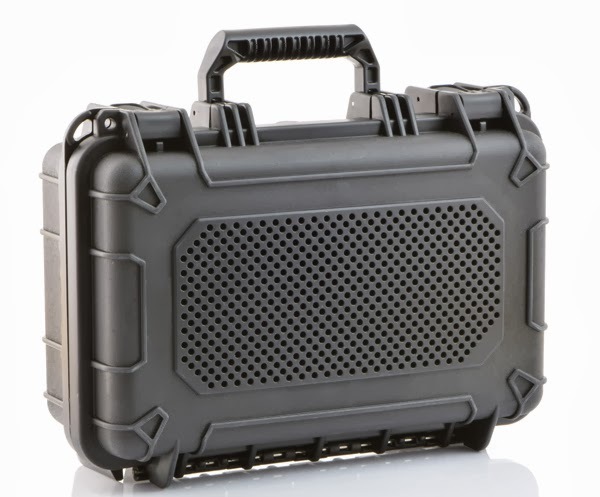 VAULT cases were obviously a huge hit as a gift this year, particularly models for the BIG Jambox and the Bose Soundlink, but I guess that makes sense with the growth in the portable audio market over the past 12 months. Research firm NPD Group estimated that audio equipment accounted for 13% of the $8 billion in consumer electronics sales between Nov. 24 and Dec. 7. More importantly, wireless speaker sales quadrupled. We love to see this kind of growth in the industry, but we even more happy to know that customers see the tremendous potential of our product. I do not want to ramble on all day here, but I do want to say thank to all of our customers for giving us the opportunity to serve you over the last 14 months. 2013 was a wonderful year, and AudioActiv has big plans for 2014. We are very close to bring some great new products to the market so please check back on our website and Facebook page for more updates over the coming weeks. Just in case you have not seen this already, I'll leave you with one picture of the all-new VAULT XL. The VAULT XL features some pretty awesome upgrades from our current large case model, but the core features remain the same. This case is waterproof, dirt-proof, shock-proof and delivers more hifi sound than you could ever imagine. Even better, we are expanding the line-up of interior configurations to accommodate more speakers from Bose, Jawbone, JBL, Braven and a few more. P.S. If we have any readers that would like to post some pictures of their new VAULT case in action, we would love to see them. You (or your friends) can post pictures on this blog or on our Facebook and Twitter pages. We agree this is not huge news, but we wanted to let you know AudioActiv.com has been updated and we migrated our entire system to a new home. You may notice some small cosmetic changes on our page, but the real important stuff is what we have done to improve the site on the back-end. Our new platform will enable us to add cool features, and we can update the look and feel of the site as we grow as a company. Please let us know if you find any errors or glitches on the pages as these typically happen when launching a new site. Thanks for your continued support and stay tuned as we begin releasing images of our new products in the coming weeks. Also, check out our product pages if you are looking for a unique Christmas gift that is sure to impress. First, we just wanted to say sorry for the long absence from the blog. The team here at AudioActiv has been very busy for the past few weeks on new product development, but that is not really a good excuse. However, we are very excited to let everyone know we will start pushing out updates on all of our hard work in the very near future! Make sure you subscribe to our newsletter for more information. This new version of the Pill will be larger in size, approximately 13 inches in length and 4-inches in diameter, and is outfitted with a handle for easy carrying. Another notable feature is NFC, allowing the speaker to connect wirelessly to Bluetooth devices very quickly. 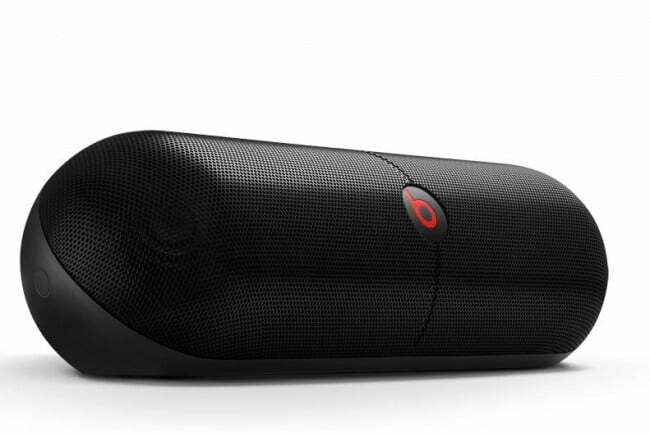 The Beats Pill XL is expected to go for a $300 retail price. As we have not tested the Pill XL to date, we cannot say how this speaker stacks up to the competition like the Jawbone BIG JAMBOX. 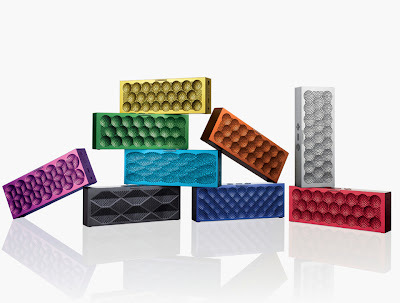 What we can say for certain is that Bluetooth speakers continue to be one of the hottest holiday gifts. Do not wait if you are thinking of buying one for yourself or a loved one. Once again, we apologize for the long hiatus. We cannot wait to officially announce what we've been working on so stay tuned for more exciting news on what's happening at AudioActiv! MINI JAMBOX Ships Out Tomorrow! We mentioned a few weeks ago that the MINI JAMBOX was available to pre-order. The day that the pre-orders ship out is almost here! Team AudioActiv is very excited for this half-sized speaker. We've been checking out the specs and admiring the many different patterns and colors it comes in. Jawbone has really outdone themselves! Did any of our AudioActiv supporters out there buy one of these? Tell us how it is! And let us know if you want a VAULT case for it- support@audioactiv.com. How beautiful does this component breakdown look?! We know our company is awesome, but it is not so often we have a chance to compete against other local businesses for bragging rights. AudioActiv has been selected to demo our VAULT cases at the upcoming Tech Cocktail Atlanta. As you may not know, AudioActiv is still quite a young company so we seriously need your vote to help prove just how kickass of a product we have. Please, please, take one second to VOTE FOR AUDIOACTIV! Just FYI, the actual voting box is about 1/2 way down the page. AudioActiv is Atlanta's HOTTEST Showcasing Startup. Now we need your vote to prove it! Curtis Lu! You are now the owner of a brand new Jawbone Jambox speaker and an AudioActiv VAULT waterproof speaker case. We hope you take the VAULT with you on your next hiking adventure. Enjoy and share with your friends! Please stay tuned for a very exciting announcement in the next couple weeks! Here's a sneak peak video. Summer's over. It's time for sweater weather! And also, happy Music Monday! Today, we are featuring an awesome remix of The Neighbourhood's Top 40 song "Sweater Weather." This Little Daylight remix slows down the original and really accentuates the bass guitar line. This decelerated hard rock version then speeds up halfway through the song with a snarky electric guitar riff, high hats, and quick snares. Little Daylight does a good job of showing a wide spectrum of remixing styles in a span of four and a half minutes. Check it out below! Keep jamming in the water with your floating VAULT speaker case! Sorry we missed Music Monday last week due to the Labor Day weekend, but we are back at it this week! Today we are featuring Lorde. You might recognize her sultry voice from her Top 40 hit single "Royals." This mysterious 16-year-old singer-songwriter from New Zealand is taking the world by storm with her synthpop style and poetic lyrics. We would say her sound is an intoxicating blend of Lana del Rey and Purity Ring. This FFFRRANNNO remix of "Bravado" has a snare line that has us hooked! Also, remember to sign up for the JAMBOX + VAULT giveaway! Only a couple days left! Jawbone unveiled the MINI JAMBOX earlier this week. 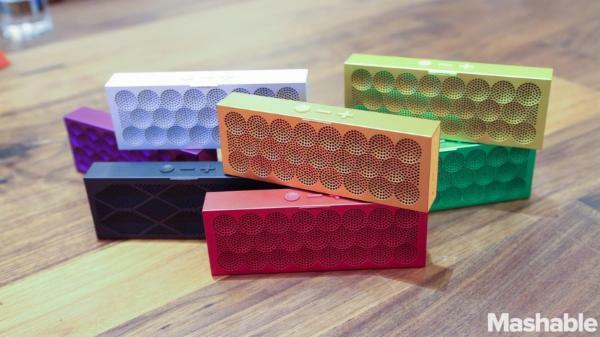 The new speaker is half the size of the original JAMBOX, and it comes in nine different colors and five designs. The speakers' reviews are quite impressive thus far! You can pre-order yours today. We are putting together a case soon so make sure you check back for updates! If you want more info, send us an email on our contact us page.